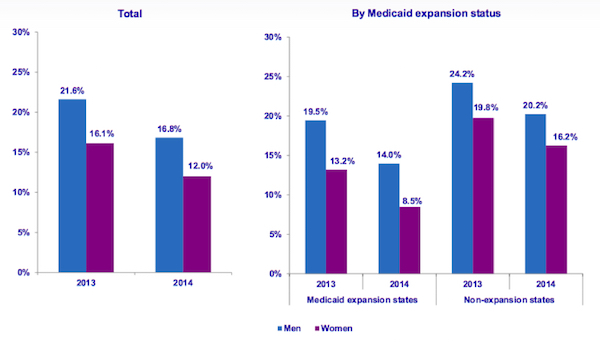 Note: Non-elderly adults aged 18 to 64 who were uninsured for the entire year, 2013 and 2014. Data Source: Medical Expenditure Panel Survey — Household Component, 2013-2014. This entry was posted in Data Watch on June 15, 2016 by Christopher Barbey.